Agile Cigar Reviews are cigar assessments where we use a lightweight, shorter format. These will never take the place of our comprehensive reviews. They are only used on blends we have previously assessed. This might be a blend we are re-scoring or giving a score for the first time. It might be a blend we are looking at in a different size. 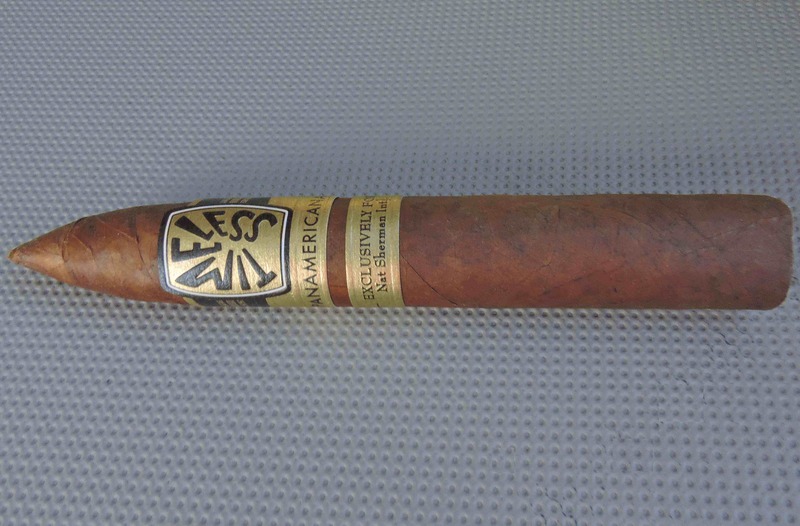 Today we look at the Nat Sherman Panamericana in the Belicoso Fino size. This is a cigar we have assessed previously back in May 2015 in the Cervantes size. Today we take a look at the Nat Sherman Panamericana Belicoso Fino. 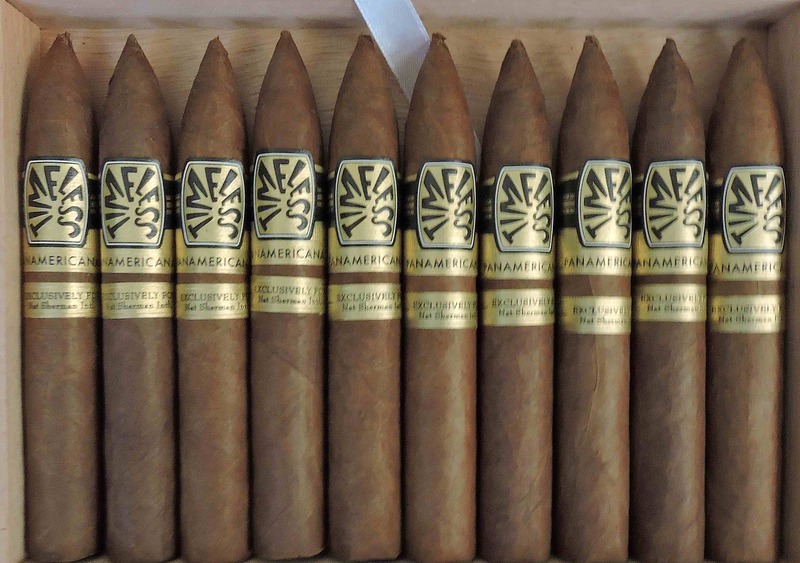 Panamericana is a name that is appropriate for this line for two reasons: 1) It uses Central and South American tobaccos; 2) the cigar is also made at the Plasencia factory in Estelí, Nicaragua which happens to be in the heart of the Panamerican region of North America. The Nat Sherman Panamericana was first released in 2014 as an exclusive line for Nat Sherman’s retail store, the Nat Sherman Townhouse located n New York. At that time the Nat Sherman Panamericana was released in four sizes. A few months later in 2015, distribution was expanded to make this cigar an exclusive offering to the Tobacconist Association of America (TAA). The cigar became an ongoing offering to TAA and was expanded to seven sizes in 2016. One of the new sizes that was added was the Belicoso Fino. In 2018, Nat Sherman underwent a major restructuring of its portfolio. The portfolio was split into several pillars and the Panamericana was moved under the Timeless pillar. As a part of the restructuring, new packaging was introduced to the Panamericana making it consistent with the Timeless offerings. Later in 2018, Nat Sherman announced that Panamericana would no longer be a TAA exclusive and would be offered to retailers nationwide. The Nat Sherman Panamericana blend consists of a Sumatra wrapper, a Nicaraguan binder, and a combination of Nicaragua and Costa Rican tobaccos in the filler. The Belicoso Fino measures 5 1/2 x 52. The cigars are presented in ten-count boxes. The Nat Sherman Panamericana Belicoso Fino delivers a flavor profile of natural tobacco, black pepper, cedar, citrus, cream, and coffee. Early on the natural tobacco has both fruit and floral qualities to it. The natural tobacco along with the black pepper are prominent early on with the cedar, cream, and coffee notes secondary. The sweetness from the natural tobacco and black pepper receded during the first third, giving way to the coffee and cream. On the retro-hale was an additional layer of red pepper. By the second third, the coffee and cream notes were primary with the pepper and cedar notes varying in intensity. The natural tobacco lost much of its sweetness and floral qualities. At the same time, a slight grapefruit citrus note emerged in the background. As the Nat Sherman Panamericana moved into the final third, there was a spike in the pepper and cedar, but it didn’t overpower the coffee and cream notes in the forefront. Throughout the smoking experience, the flavors were medium-bodied countered by medium strength. I feel Nat Sherman made the right decision moving the Panamericana out of the TAA series and making it a regular offering. I’ve found the Panamericana to be a solid offering, but one that got lost in what has become an over-saturated collection of TAA releases. That being said, I’ve found the Panamericana one that smokes better in the smaller ring gauges. The Belicoso Fino is the second largest ring gauge in the line, so it did fall a little short when compared to sizes such as 43 ring gauge Cervantes. Still, this is a cigar I’d recommend to a novice or experienced cigar enthusiast. It’s one I’d smoke and buy from time to time as well. Haven’t had the pleasure of trying this yet, but looking forward to it! Great review.